A conservatory is often used in homes as a retreat in order to relax and unwind after a hard day. Although conservatories are a fantastic addition to homes, many conservatories remain unused for large parts of the year. There are various reasons why conservatories are left underused throughout the year, including difficulty in finding an effective way to regulate heat as well as controlling levels of privacy in your conservatory due to the amount of glass present. The challenge with conservatories is controlling the right temperature. Often in summer sunshine a conservatory can feel like a greenhouse with temperatures becoming uncomfortable, while during the winter months conservatories are freezing as heat escapes through the ceiling as well as the walls. With our help you can enjoy your conservatory all year round. By using our specialist conservatory fabrics you can have much better control of temperature to control the sun in summer and keep the warmth in during the winter. 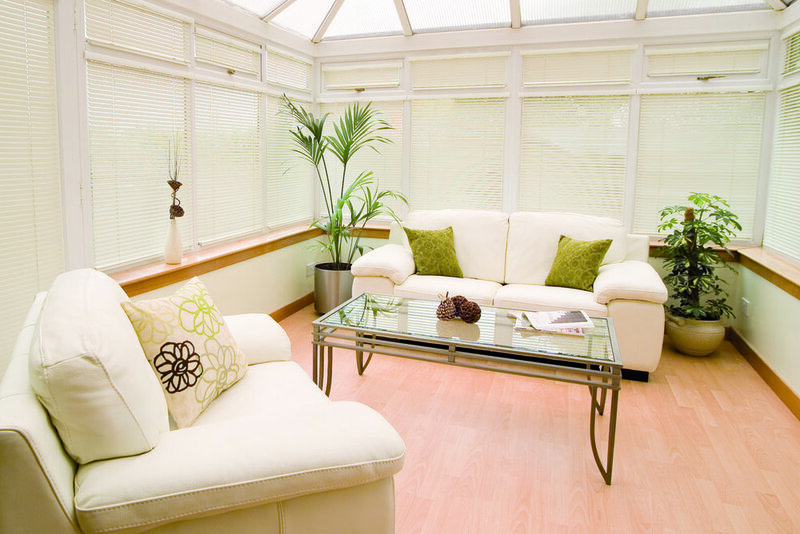 Conservatory blinds are a fantastic investment, allowing you to control the light that filters into your conservatory. On longer summer days it can be beneficial to utilise blinds to block out strong sunshine. Another benefit of having conservatory blinds is for you to be in complete control of the level of privacy that you want for your home. Not only are conservatory blinds a practical solution for your home, but we stock a wide variety of styles allowing you to pick blinds which will compliment and enhance existing décor.